My maternal grandfather’s family has been living in New York since the 1850s, and I am a sixth-generation New Yorker. Other than studying in Israel for a year and a half, I have spent my entire life in the New York area and had never visited a Jewish community outside of New York or New Jersey, so I naturally wanted to experience small-town Jewish life. 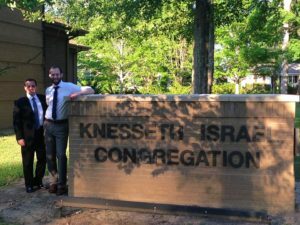 This past Shavuot I traveled with my classmate, Phil Kaplan ’19, to Birmingham, Alabama, to visit Knesseth Israel Congregation. 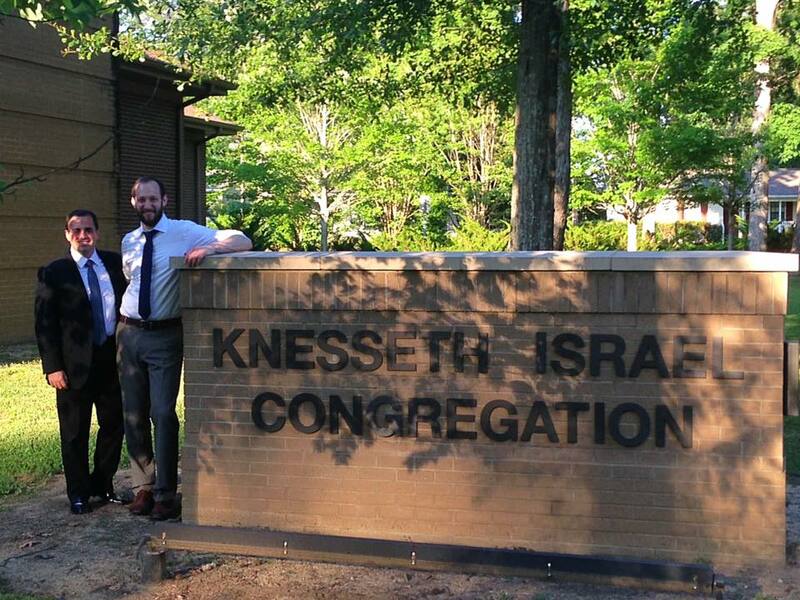 Knesseth Israel, known as KI, is the only Orthodox synagogue in the state of Alabama, and its wonderful rabbi, Eytan Yammer ’11, is a graduate of YCT. Rabbi Yammer met Phil and me at the airport and brought us to his home in Mountain Brook, the beautiful suburb of Birmingham where the synagogue is located. Over Shabbos and Yontif, Phil and I had the opportunity to be shlichai Tzibbur (lead services), give drashot, and teach Torah. We also learned about Jewish life in the heart of the Bible Belt, meeting many members of this small but historic community. Many of the congregants are professors at the local university who moved to Birmingham from communities across the United States, while others are natives of the area whose families have been living there for generations. Although many of the congregation’s members are not particularly observant, they have a deep feeling of Jewish pride. They are proud to be Jewish and are excited and eager to connect to their Jewish roots and to learn more about our tradition. They were also excited to have young rabbinical school students from New York visit their congregation. The community was very warm and welcomed us with their southern hospitality. I look forward to future trips to Birmingham and other small Jewish communities across the United States! Thanks to YCT for these wonderful opportunities!